The European Tour travels to Germany this week for the BMW International Open. A week on from the US Open, Martin Kaymer and Henrik Stenson will be the headline acts at Golfclub München Eichenried. After the rigours of last week’s US Open at Chambers Bay, home favourite Martin Kaymer will be hoping to rebound strongly having missed the cut in his defence of the year’s second Major. He’s a former winner of this event and will be looking to draw on the support of the German fans. “There’s always more pressure playing in front of a home crowd, but I like that pressure because it makes you want to please them and make them happy. 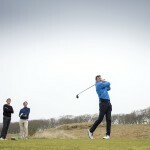 That’s not always possible, of course, but it won’t stop me trying,” said Kaymer. World Number seven Henrik Stenson is in the field and he will be aiming to claim a second victory in this event. Ireland’s Shane Lowry has also made the journey to Germany from the Pacific North West. He’ll start this event full of confidence following his top-10 finish at Chambers Bay. David Feherty won the first instalment of the BMW International Open back in 1989, beating Fred Couples into second place. Since then, there have been some notable champions. Paul Azinger was twice a winner and Sandy Lyle, Colin Montgomerie, Lee Westwood, Henrik Stenson and Martin Kaymer have all taken the title. Last year at Golf Club Gut Lärchenhof, Fabrizio Zanotti became the first Paraguayan to win on the European Tour when he came through a four-man playoff to take the title. He finally saw of Sweden’s Henrik Stenson at the fifth extra hole, after Gregory Havret and Rafa Cabrera-Bello had dropped out of the running. The weather forecast for the week looks to be set fair, warm and sunny. Expect to see some decent scoring: when the event last visited Golfclub München Eichenried in 2013, Ernie Els won with a four-round total of 18-under-par. Rafa Cabrera-Bello – The Spaniard is on a great run of form at the moment. He was tied fourth in the Irish Open, tied 13th in the Nordea Masters and then runner-up in the Lyoness Open. He was tied second in this event last year. A win is surely on the cards. Gary Stal – The Frenchman won in Abu Dhabi and was tied fourth in Dubai at the start of the year. Since then he’s struggled for form, but he showed signs of a resurgence in the Lyoness Open, where he finished in the top-10. He could be coming back onto a run of good results. Thorbjorn Olesen – The talented Dane has been under-performing massively in recent weeks. But he has the ability to turn that round at any point, as demonstrated by his second place finish in Mauritius at the start of May. With odds of 125-1, he’s worth a little each way flutter. Key hole: 16th. A risk and reward par four of just 319 yards. It’s driveable but with water waiting short and right anything with a touch of cut on it will end up wet. If someone needs to make birdies on the last day they’ll definitely have a go at it. Skills required: Putting. It’s a relatively straightforward layout where birdies are commonplace. The winner will have a great week with the flat stick.